Some years ago a Korean friend told me how she had been getting up at 5:30 every morning to drive to her church – one of several Korean churches here in Melbourne – for the 6:00am prayer meeting. They were looking for a new pastor, so for one month the congregation were meeting daily to pray, for one hour, for God’s guidance and provision. About 30 to 40 attended each morning, many driving 30 minutes or more to be there. By contrast, my own church was at the same time looking for a new pastor. Most of our members live no more than a five-minute drive away, yet we were lucky to get half-a-dozen to a morning prayer meeting once a week. Is it any wonder that one of the phenomena of twentieth-century religion was the explosive growth in Korea of Christianity, at the same time as it was stagnating in the West? 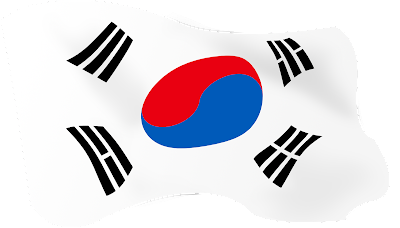 I have a Korean wife, and have many experiences of the dynamic nature of Korean Christianity. I remember once when we were staying with her parents, at their tiny apartment, in the Seoul suburb of Banpo, south of the Han River. Their home was part of a giant apartment complex, housing thousands. While I was there I was probably the only Westerner. One day I stepped outside with my wife to walk to the shops, when two ladies stepped forward. “Please,” said one, pushing a pamphlet into my hands, then they walked away. It was a Christian evangelism tract, in English. Almost certainly those women had heard that a Westerner was staying in one of the apartments and had been waiting outside our building – perhaps for a couple of hours – just to hand me that leaflet. In Seoul I attended services of the Yoido Full Gospel Church, around the corner from the country’s parliament. This church, established by the dynamic David Yonggi Cho in 1958, is now the largest in the world, with, incredibly, more than 800,000 members. The church building itself holds 25,000 people in the main auditorium, with a further 15,000 watching on giant closed-circuit television screens in overflow chapels (“overflow” being the operative word; each of these chapels was jammed when I was there). The church organized seven fervent, packed services each Sunday, two on Saturdays and several more during the week, as well as all-night prayer meetings every Friday. Members are also placed in small cell groups, which meet weekly for prayer and Bible study, with each member of a group asked to pray daily for each other group member. The church has become something of a tourist attraction for visiting Christians. A special section of seating offers headphones with simultaneous translation of the service. On one of my visits the pastor began praying in tongues. The interpreter got carried away. She started speaking in tongues too. The Koreans are deeply spiritual. When discussing religion there are none of the frustrations you face when debating matters of faith with cynical, post-Christian Westerners. Rather, you are back in first-century Athens with Paul, arguing the merits of the gods. My wife’s brother-in-law is a graduate of one of Seoul’s top universities. He speaks excellent English. Some years ago his son – my nephew – was punched to the ground in an argument with a soldier, and spent several weeks in a coma, before making a slow and only partial recovery. Christian groups sometimes visited my wife’s brother-in-law in hospital and offered to pray for the family. He told me he tried prayer himself. “But I didn’t once have any feeling of God being there.” He complained that some of the prayer groups seemed just to want money. He and his wife went several times to church, but he complained that as soon as they stopped attending the pastor and elders would be on the phone pestering them to return, offering to send a bus round each Sunday to pick them up. I suggested he try the Yoido Full Gospel Church. “They’re all fanatics,” he said. At any time, thousands of people are gathered for community prayer and worship that lasts for days, or even weeks. Many are fasting. At night, most sleep – if they are not in prayer – on mats spread out on the floor of the large central worship sanctuary. Hundreds of tiny grottoes have been dug into the mountain, and individuals occupy these, praying for hours at a time, sitting or kneeling on the hard floor, a flickering candle the only illumination after dark. I walked around the compound late at night. It was snowing and bitterly cold, but many people were in the grottoes, crying out or singing, in piercing voices, in prayer and worship. Some even forsook the relative comfort of the spartan grottoes and knelt outside, among trees and bushes on the mountain. When I walked around once more, early the next morning, many of the same worshippers were still at prayer. During the twentieth century Christianity in Korea went from virtually zero to about a third of the population. We now see Korean-style revival occurring in China. What can we expect if during the twenty-first century a third of all Chinese turn to Jesus? Is the world ready? This entry was posted in Korea on November 15, 2015 by admin.